I am an Island Child because I know my way around the whole island. I practically live on the beach and can’t get enough of the water. I love the breeze in my hair. 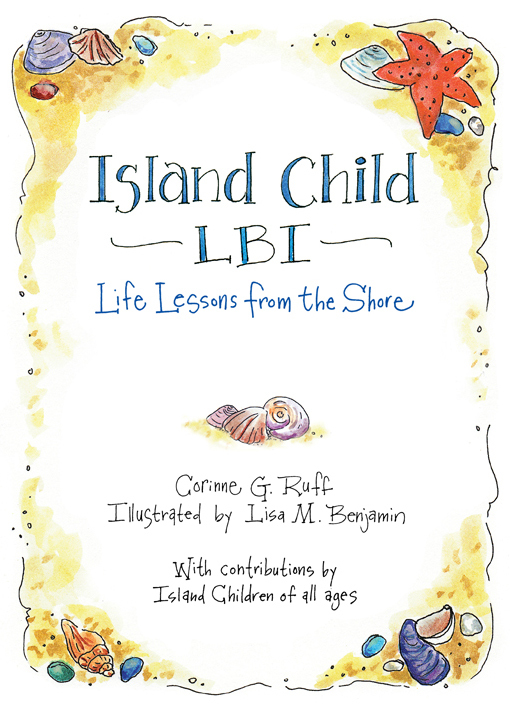 A book for Island Children of all ages, Island Child, LBI is a collection of contributions from those who have loved and lived on Long Beach Island. 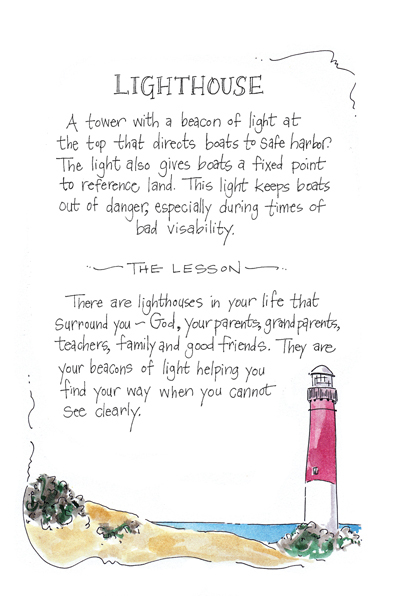 “Life Lessons” was inspired by dozens of iconic island features, and combined with individual experiences to create a book that is the perfect blend of philosophy and local charm. 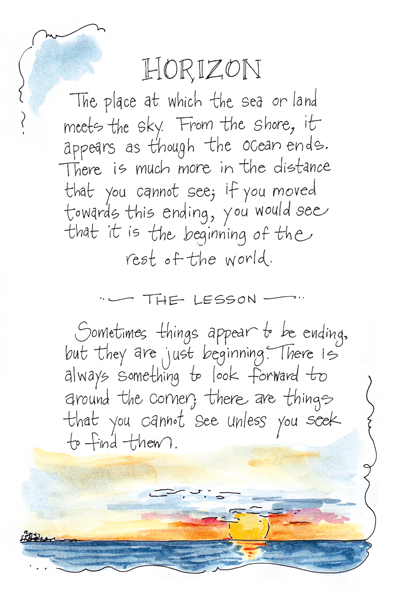 What started as a book of simple lessons quickly evolved as people came forward to share. 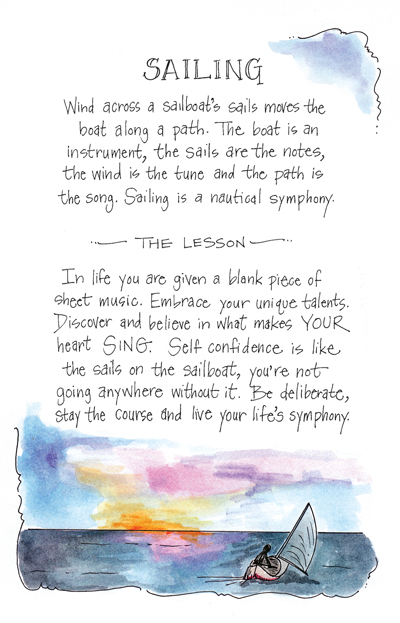 Soon there were hundreds of entries from “island children,” and a very special book was born. Long Beach Island, N.J. They are people of all ages who live on or visit this island. Their spirit is defined by their sense of adventure and wonder. They are as intrinsic to the beaches as the sand they stand upon... The Island in this book is not exotic Bora Bora or glamorous St. Thomas, but Long Beach Island  a little piece of paradise for those of us lucky enough to have discovered her shores. Filled with natural beauty and character, this 18-mile-long island nestles up against the New Jersey coast, home to other beaches and islands that also inspire and nurture their ‘children’”. Born in Trenton, N.J., the second of four children, Corinne Gray Ruff grew up on the sugar sand beaches of L.B.I. and Manahawkin. She attended the Florida Institute of Technology where she pursued her dream of becoming an airline pilot. She flew as a flight instructor, fish spotter pilot, corporate pilot and currently flies for a commercial airline domestically and internationally on the Boeing 757 and 767. Her family history on Long Beach Island dates back to the 1930s; her parents met on 16th Street in Surf City 46 years ago. She lives in Surf City with her husband Mark, also a pilot, and their two Island Children, Ava and Jackson. Lisa M. Benjamin’s earliest works were etched along the sandy shores of New Jersey, where she was born and raised. She is a working artist and educator, having the pleasure of teaching visual arts to Island Children on Long Beach Island for over 20 years. Lisa lives in Forked River, N.J. with her husband Charles and their son Zachary.